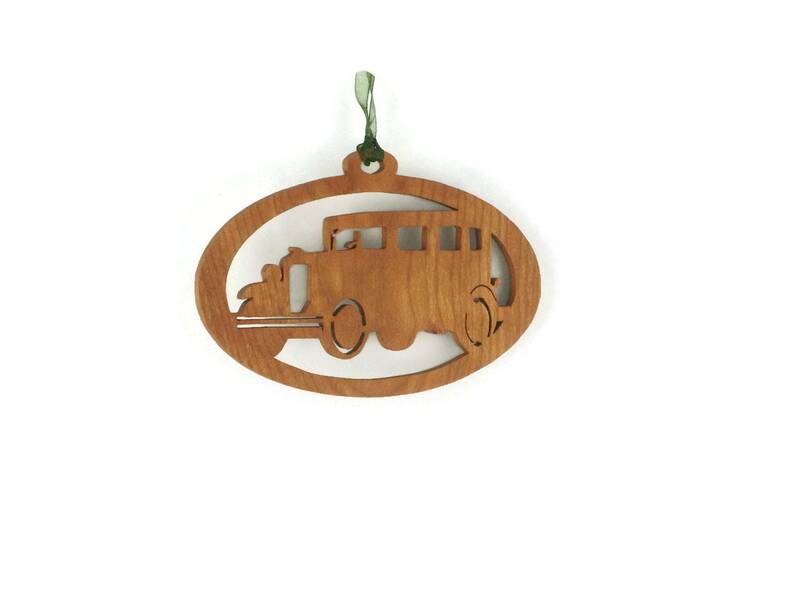 If you or someone you know is a antique car enthusiast then this 1931 Chevy Christmas ornament is perfect for you to decorate your Christmas tree and celebrate the holidays with. This 31 Chevrolet sedan was cut out by hand ( handcrafted ) using a scroll saw. This was made from 1/4 inch thick Cherry hand selected lumber. 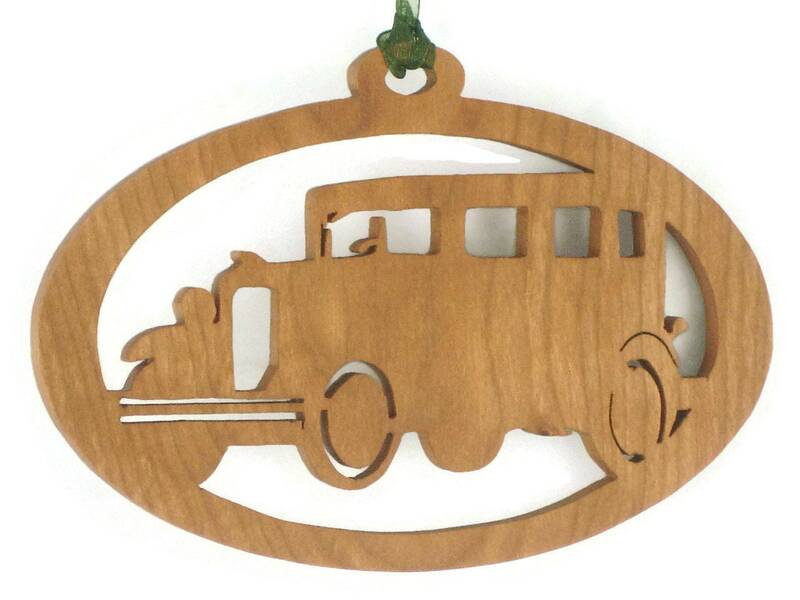 The 31 Chevy is encased into a oval shaped Christmas ornament. A beautiful ( various colors ) fabric ribbon is added so when this arrives in the mail it is ready to be hung on your tree or in your home for your Christmas decor. A special blend of bees wax and mineral oil finish is applied to give this a silky smooth finish and to protect the beauty of the cherry ornament for many years of enjoyment. 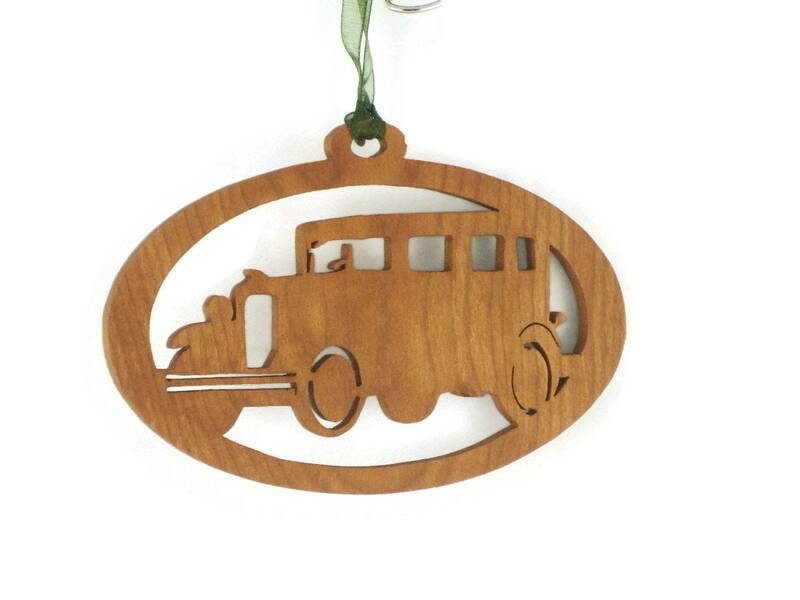 Ornament measures approximately 5.5 inch wide x 3.5 tall x .25 deep. 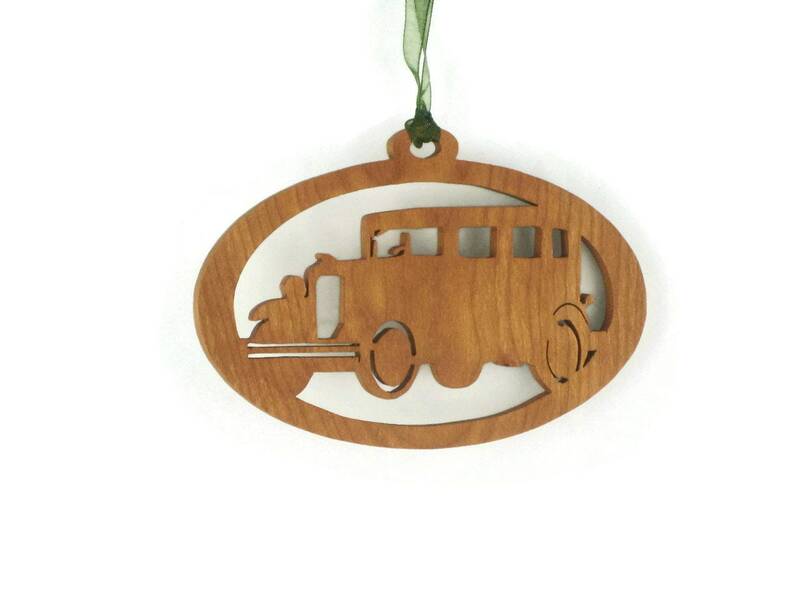 Please Note: Ribbon colors and wood grain differs from each ornament and the ornament you receive may look slightly different than that of the one pictured.